I think every superhero needs a sidekick; as you can't win a war on your own. I believe it is less scary to face the world if you have someone with you who share the same determination, passion, and drive to defeat a super villain. So let me introduce to you my sidekick who will be joining me as my supermodel in my blog. Her name is Mekaela she is my younger sister. 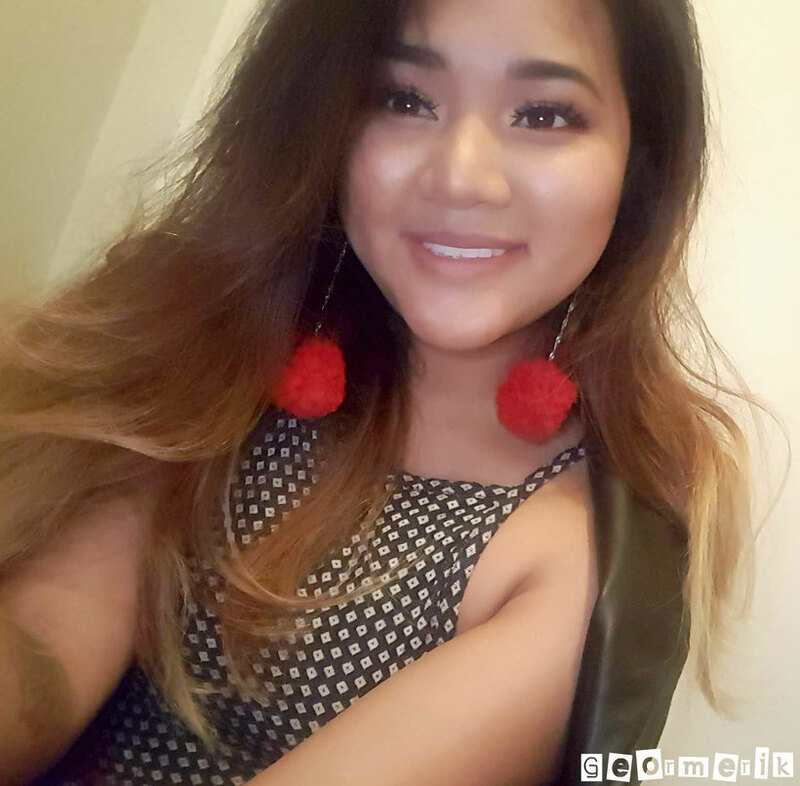 Her super powers to gain a lot of followers in social media using her charisma, knowledge in fashion, and her exotic beauty is a great asset to the blog. Yes, I bolded the word exotic beauty as I know you are reading this blog post, my dear little sister so don't you dare leave a comment saying "I told you so." If you do that; I am going to find you and burst your bubble using the same sewing pin I used to create these pom pom earrings you suggested me to make. Despite our sibling rivalry, I love my sister from the moon and back. Growing up we face a lot of challenges, and together we bravely overcome all the obstacles along our way. 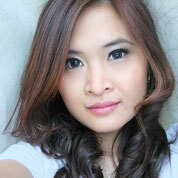 Today, I officially welcome my sister as a new member of my blog. 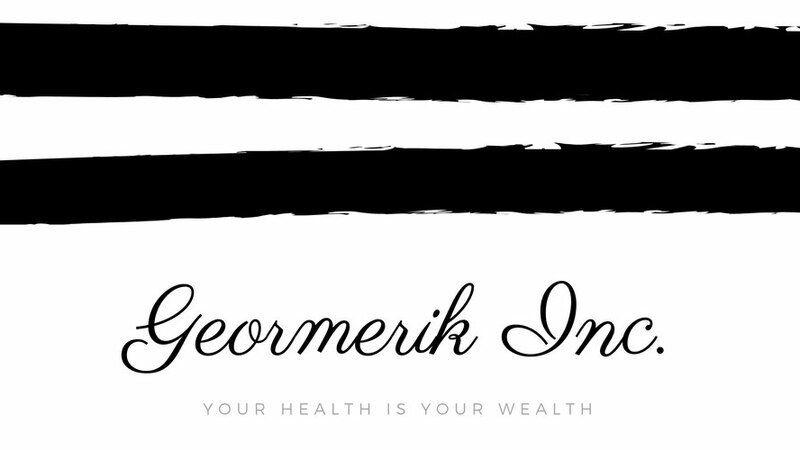 I am excited to work with my sister and hear all her ideas to help improve this blog. I know she got a lot to offer, and I am grateful that she wanted to join me on this journey. I know we will experience difficulties as we got a day job, and we both need to juggle our time managing this blog. However, with determination, passion, and drive we will make things possible. Together we will not knock down all the villains, and walls to find the path to success! 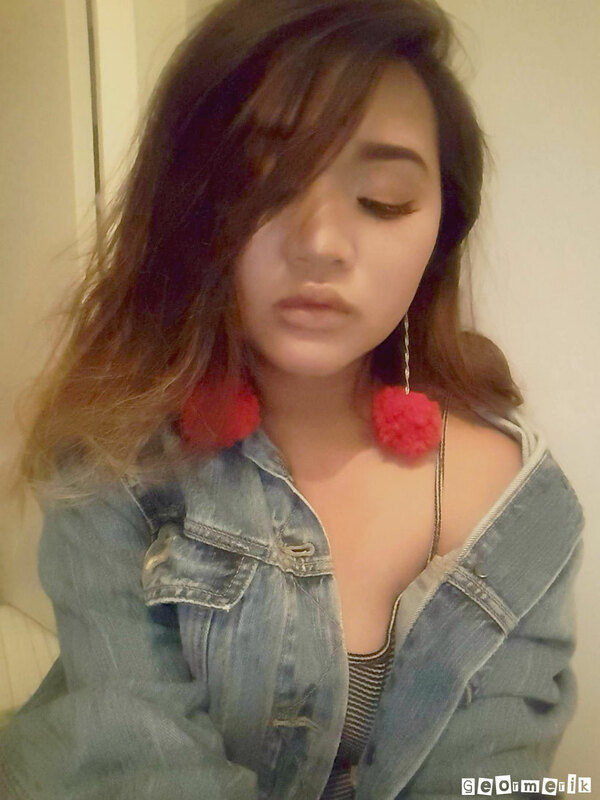 My sister is a huge fan of Ariana Grande, and I have seen Ariana Grande wearing a pom pom earrings in several of her pictures. So it is no surprise that my sister wanted to wear a pom pom earrings to model in her first appearance on my blog. I love these pom pom earrings so much that I decided to make a couple of pairs for myself. Close up of the pom pom earrings. Note: This is different from the earrings that my sister is wearing as my sister decided to keep the earrings that she wore in the pictures. 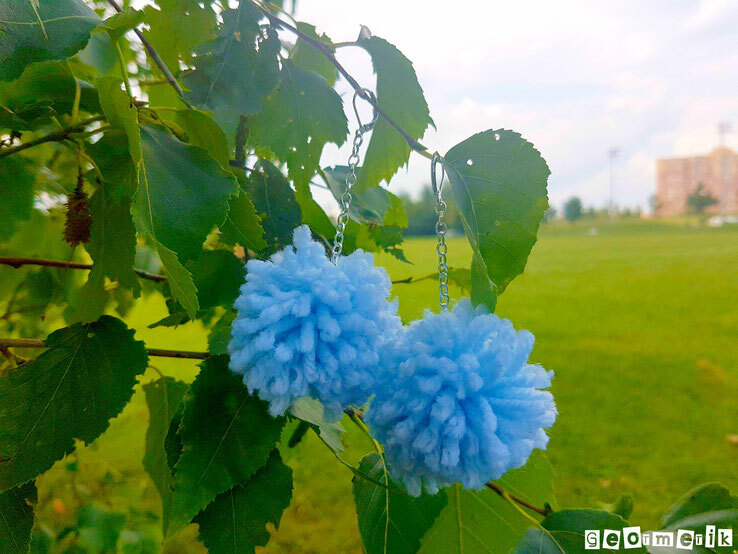 I decided to create a blue pom pom earrings; which I wore to a birthday party I attended last month. 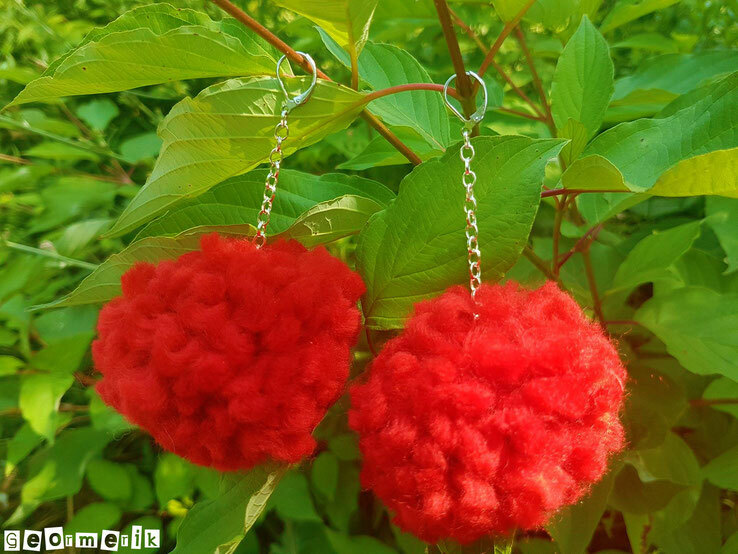 I will make pom pom earrings in different colors for my future online store. As for the earring that my sister and I wore; we are keeping it as it looks so cute and it feels so soft too!